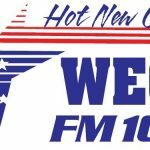 WECORadio.com provides podcasts of each high school football broadcast. Click on the player below to listen to the Citizens First Bank Game Of The Week featuring Keith Adcock, Andrew Knight, Logan Adcock and Eli Byrge. Previous articleBrad Byrd Broadcasts Live From the All New Cricket Wireless Store in Oneida on Friday.